Learn the Greek Alphabet for free! 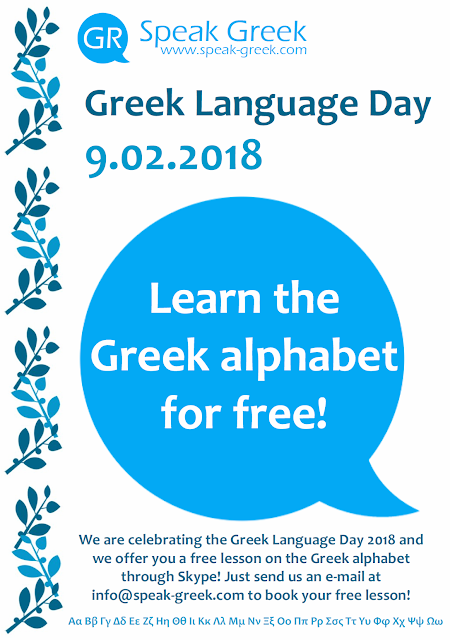 We are celebrating the Greek Language Day 2018 and we offer you a free lesson on the Greek alphabet through Skype! Just send us an e-mail at info@speak-greek.com to book your free lesson!